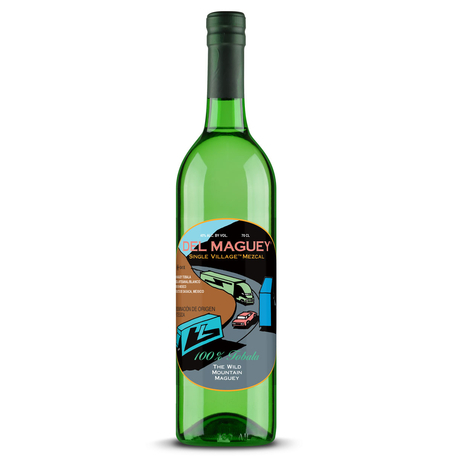 Del Maguey Single Village Mezcal was founded in 1995 by Ron Cooper, an artist who has established close relationships with the Zapotec Mexican Indian people who produce mezcal in the remote villages of Oaxaca, Mexico. 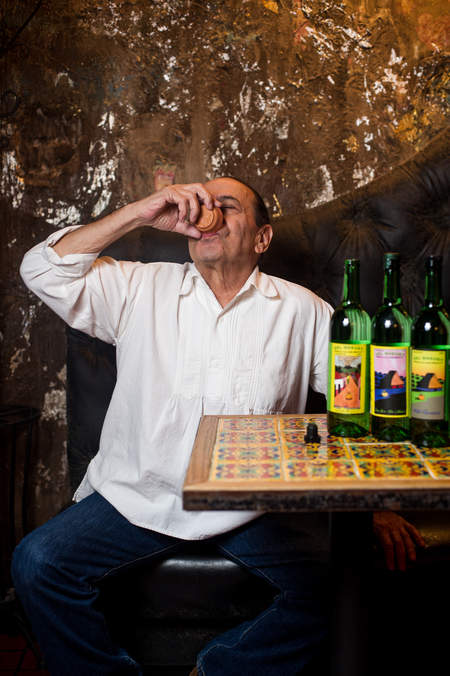 Previously unknown and unappreciated, even in Mexico, over two decades Ron has brought artisanal mezcal to the attention of the world’s discerning drinkers. 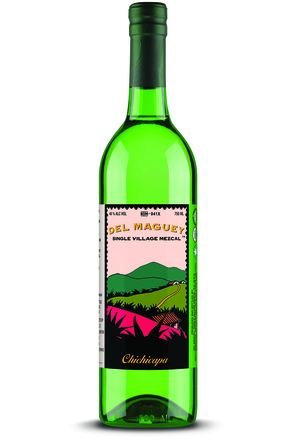 The distinctive, vibrantly coloured artworks that adorns Del Maguey labels are by Kenneth Price (16/Feb/1935 – 24/Feb/12), an artist famous for his abstract fired clay shapes intricately painted with multiple layers brightly coloured paints. 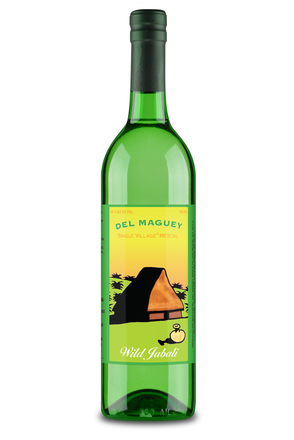 From time to time Ken also produced “imagined south of the boarder drawings” and these make Del Maguey Single Village Mezcals instantly recognisable. 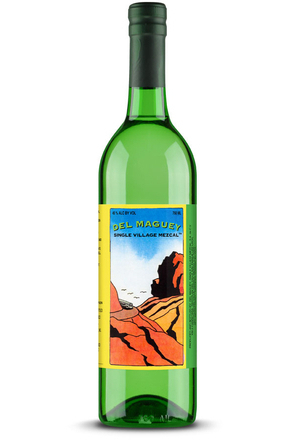 Ron Cooper, the visionary behind the Del Maguey brand, met Ken in 1962 when they became next-door neighbours at the surf point on California Street, Ventura, California. 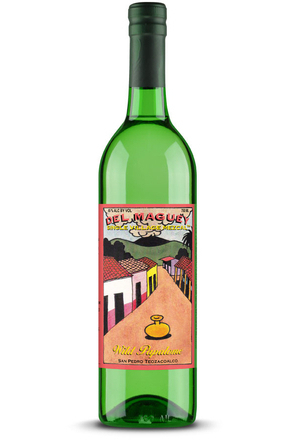 Ron grew up in Ojai, California but after graduating high school and a year in Europe moved to Ventura where he enrolled as an art major at the Jr. college and rented a space in a Victorian two story house. 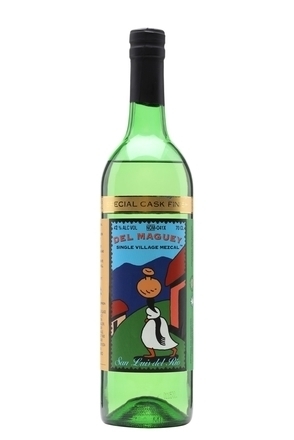 It is here that Ken and Ron became neighbours and life-long friends. 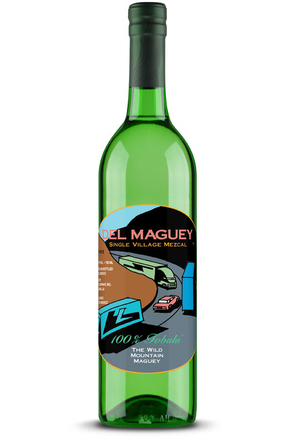 In 2011, talking about Ken’s artwork and Del Maguey, Ron said, “My biggest Del Maguey label art challenge was the crazy circular drawing that I have used for our rare, wild mountain Tobala mezcal; it is of a narrow road through a winding high mountain pass with just a bit of sky and three big semi-trucks and a little pink car caught in the middle of them… it finally came to me that the huge racing trucks represent the “Big Guys” – tequila companies and tiny Del Maguey in the midst of them.